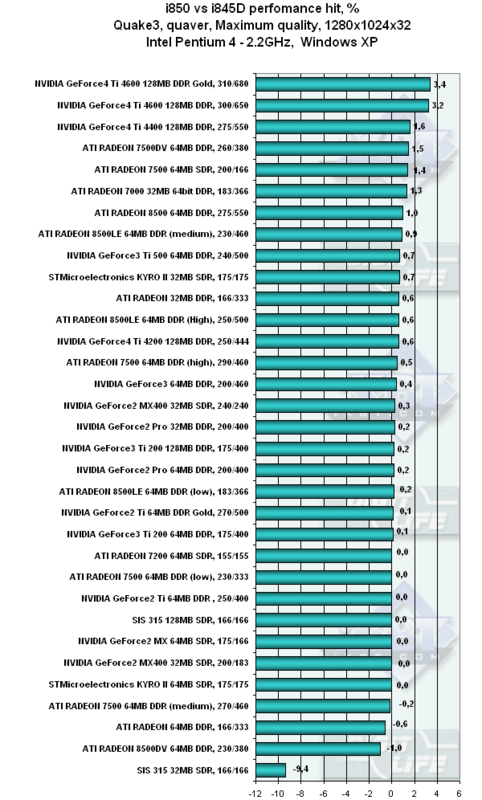 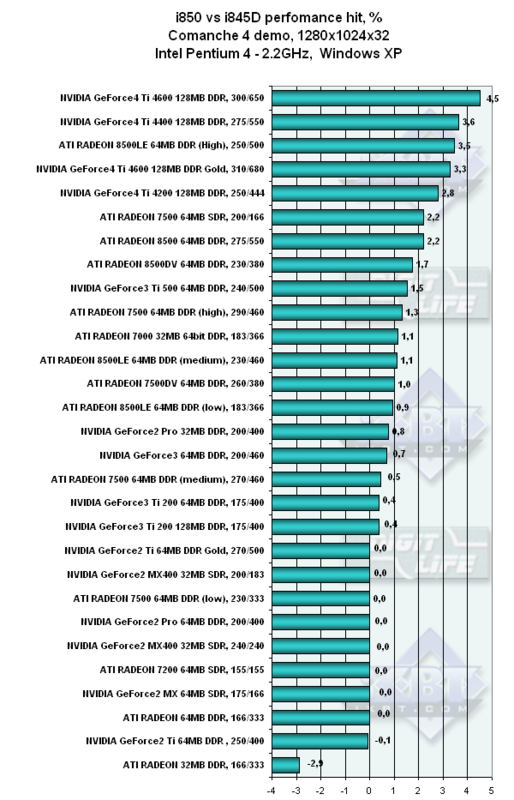 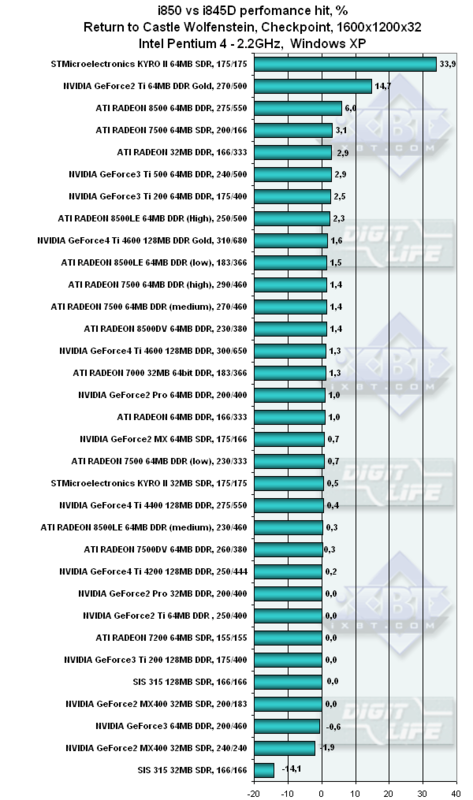 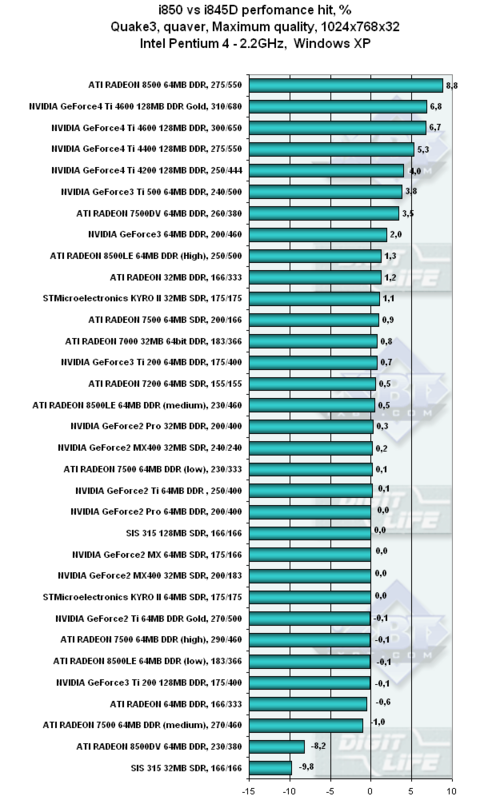 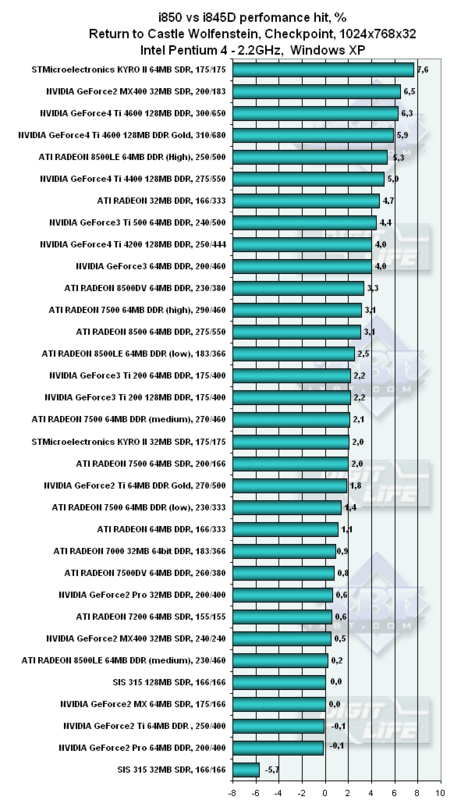 April 2002 3Digest: the performance difference of videocards based on i845D and i850 platforms. 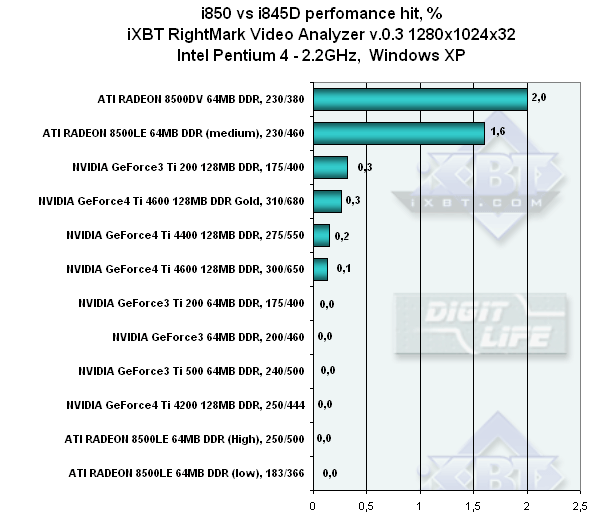 As you know, i850 and i845D support different memory: RDRAM and DDR SDRAM. 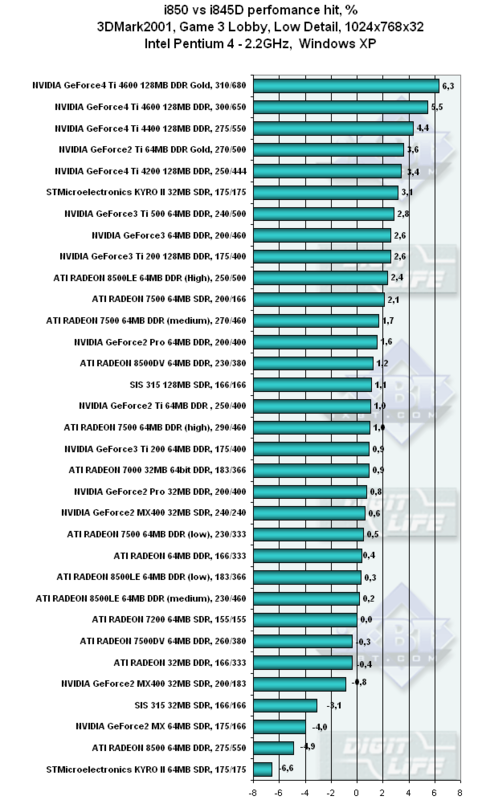 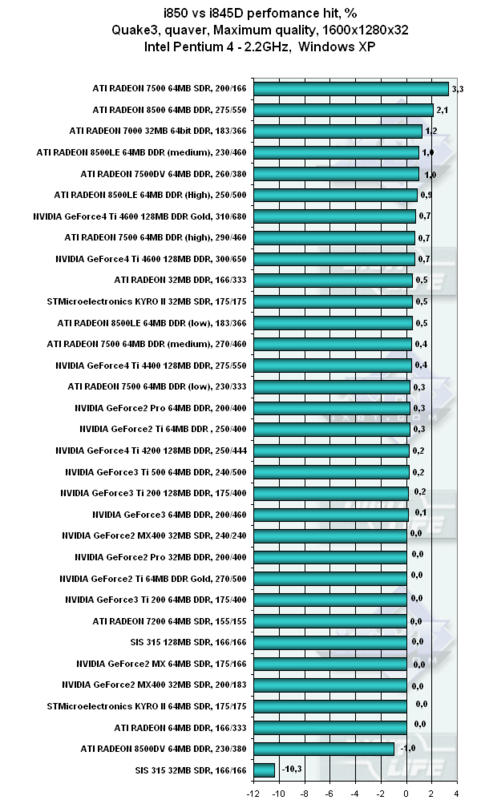 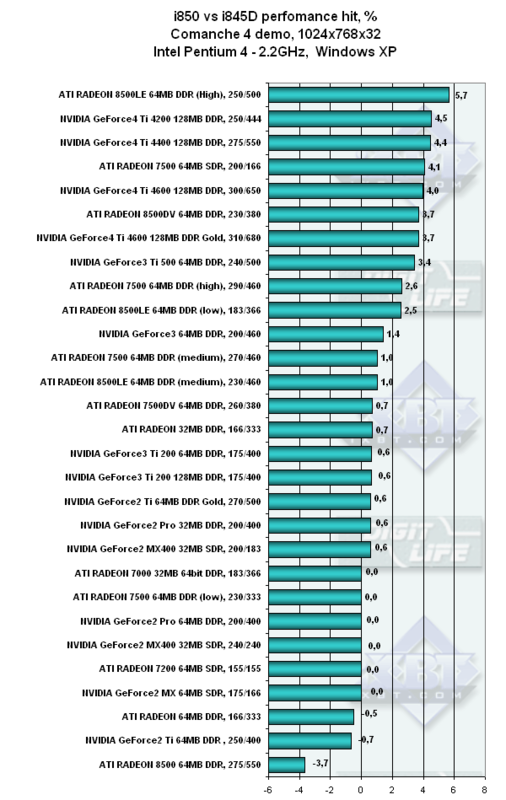 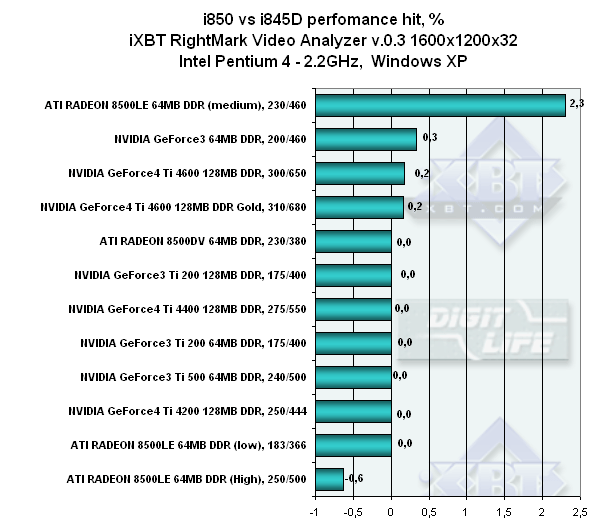 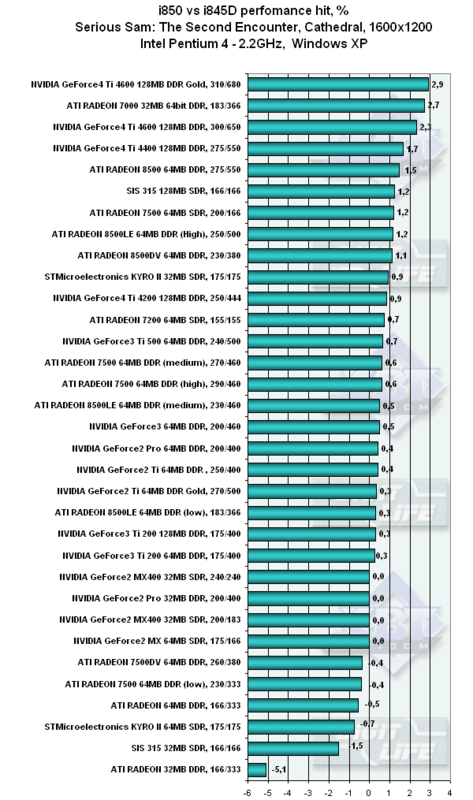 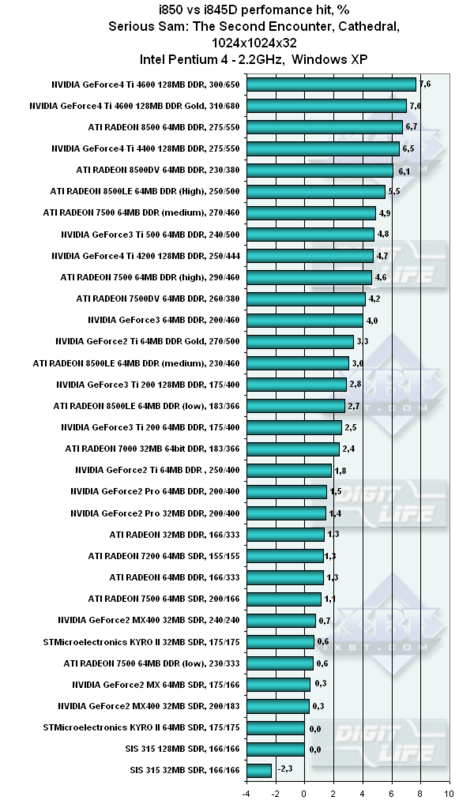 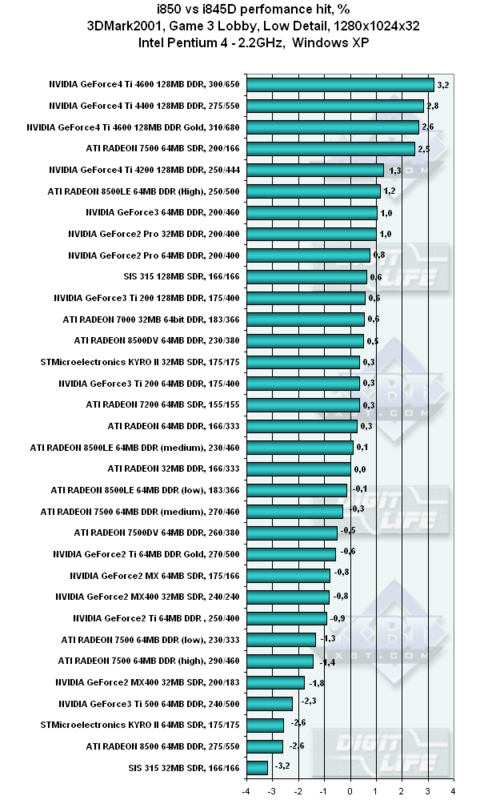 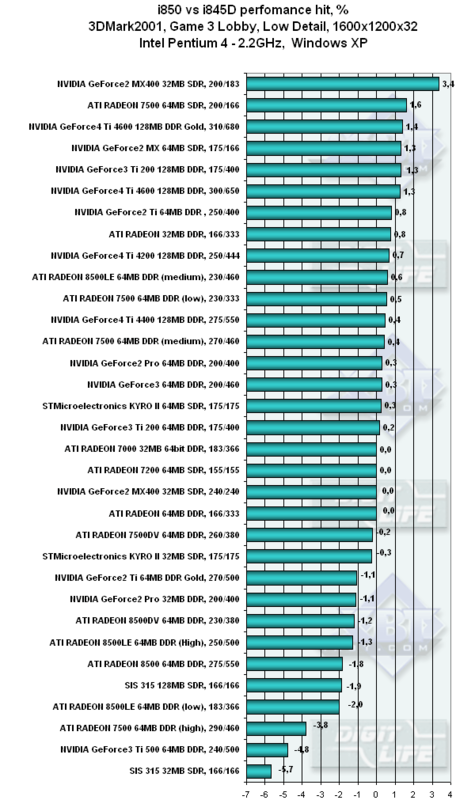 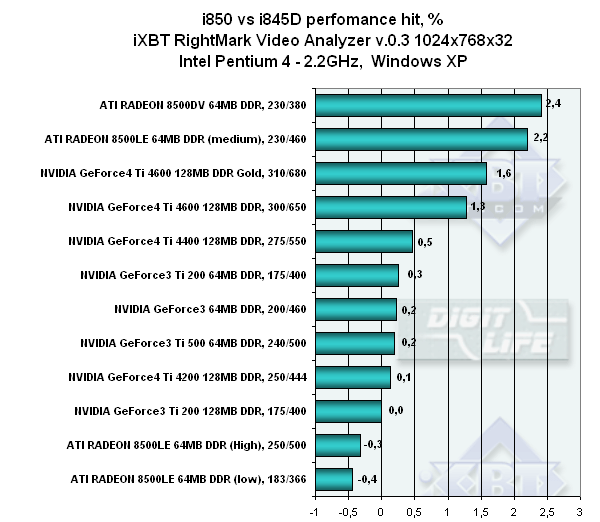 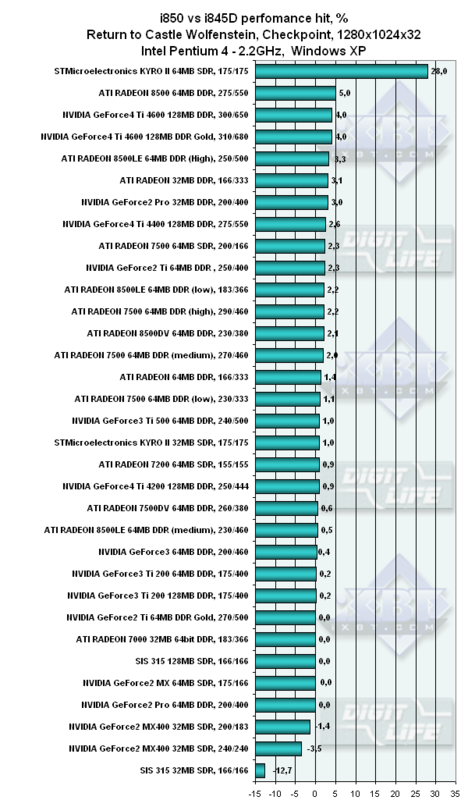 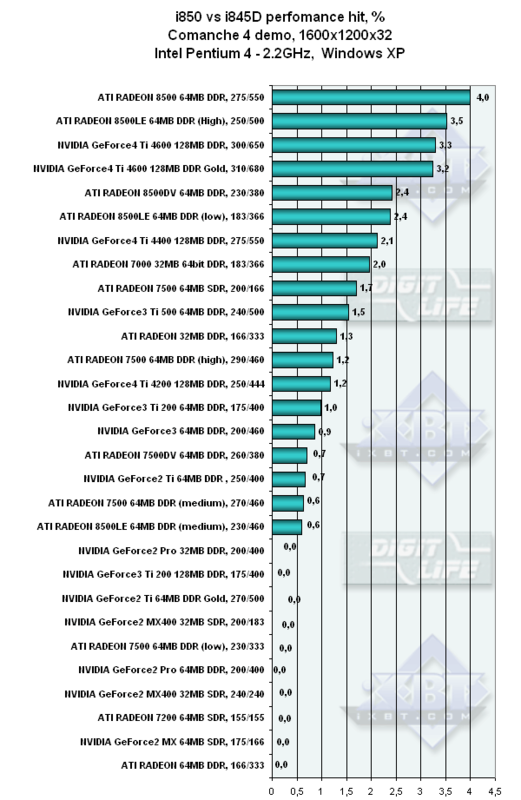 It has been proved that Pentium4 with i850/RDRAM PC800 has better performance in the most cases. 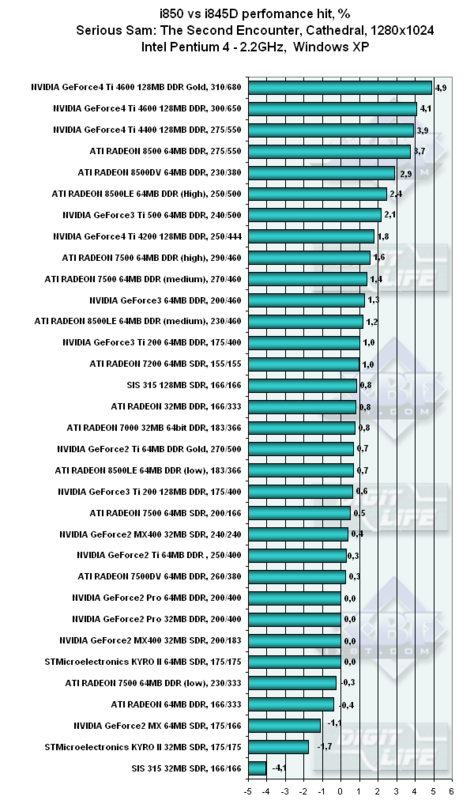 However, our tests showed that this advantage is very little to nothing (speaking about 1024x768 and higher resolutions), except for drastic boosts on i850 platform.